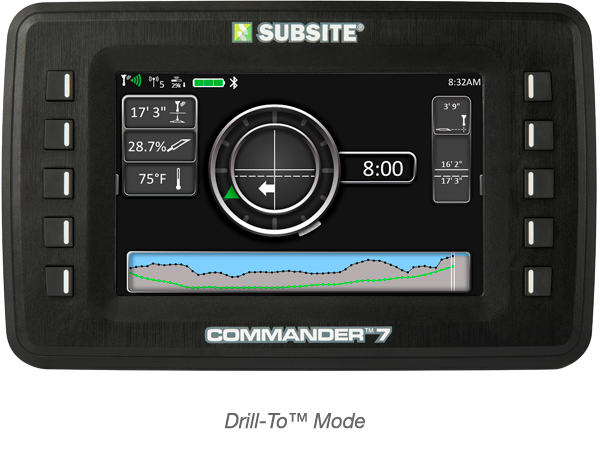 The Commander 7 HDD Guidance Display is Subsite® Electronic’s most advanced display ever, delivering vital tracking data to both the tracker operator and the drill operator. 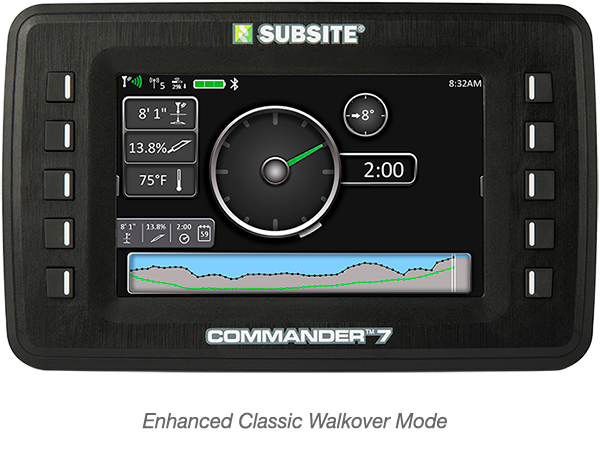 Offering enhanced capabilities to the TK RECON™ Series HDD Guidance System, the Commander 7 is compatible with both Apple® iOS and Android™ devices and features an expanded communication range, faster data rate speeds and a high-resolution 7-inch screen. 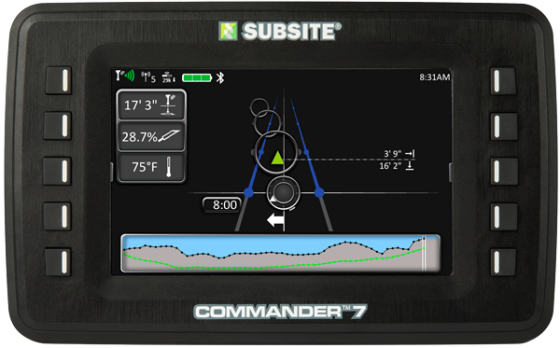 Commander 7 even offers users three ways to view their tracker data for a more user-friendly, more productive, operator experience. 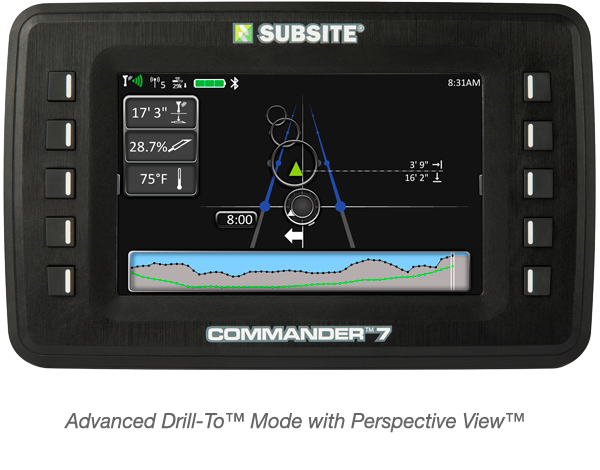 Upgrade Commander 7 with ScoutView™ and you can upload your Field Scout™ bore plan to the Commander 7 screen and monitor the bore live, log bore data, and display bore info when approaching a waypoint/obstacle—all from the drill seat during the bore. Compatible with the TK RECON Series HDD Guidance System.